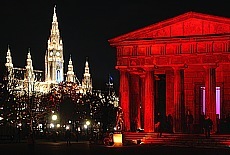 Since more then 700 years the Christkindl market in Vienna around the townhall fascinates all visitors of the Austrian capital city. 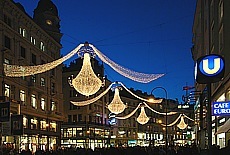 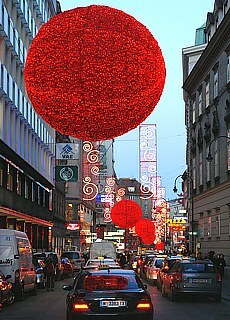 Gorgeous beautiful are the Christmas decorations and the Advent glamour in the Kaerntner street, the Graben and the Rothenturm street. 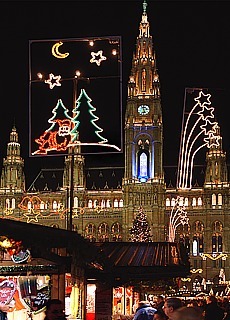 To shorten the waiting for the Christ Child to the children of Vienna, they can do handicrafts as Christmas presents in the Christ Child workshop located in the Vienna townhall under compedent guidance. 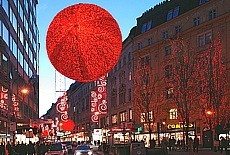 The Christmas lights in the Rothenturm street with the giant flying red balloons consisting of thousands of small stars are a real masterpiece. 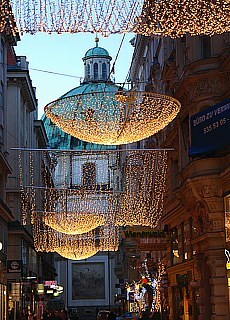 The Christkindl market of Vienna belongs to the most impressive and famous Christkindl markets in the world. 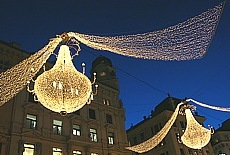 Here You can buy candied fruits, cotton candy, baked apples, gingerbread, sweet chestnuts, hot wine punch and originell gift ideas. 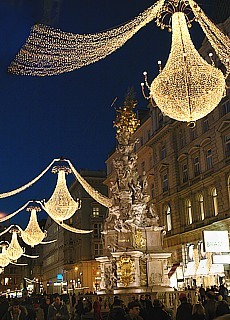 The trees in the parkinfront of the townhall of Vienna are decorated with coloured Christmas lights and stars, You can see confetti figures and the sugar tree.